Haritaki is a common herbaceous plant, which is very extensively used in the preparation of many ayurvedic medicines. Ayurvedic treatment is the traditional Indian system of treatment followed by the ancient scholars of medicine for many thousands of years. This type of medicinal treatment involves the practice of holistic methods of treatment that involves maintaining and promoting health through diet and regulated life style. Many ayurvedic medicinal formulations are prepared from the fruits of the Haritaki plant. The extract obtained from Haritaki fruit contains a substance which has antibacterial and anti fungal properties. This substance inhibits the growth of bacteria and fungi such as E. coli. Escherichia coli is the most common organism, which is responsible for many types of infections such as infections of the urinary tract. Haritaki extract is very useful in the treatment of infections caused by E.coli. Haritaki is also believed to have powerful effect on parasites such as Amoeba giardia and many others. The extract for the Haritaki plant is used widely in many ayurvedic formulations. It is used in the preparation of medicines for the treatment of infectious diseases like leucorrhoea, chronic ulcers, pyorrhea and other types of fungal infections of the skin. Many research studies indicated that the oil obtained from the kernel of the Haritaki plant had certain substances, which increased the motility of the gastro intestinal tract. This type of action was similar to that of castor oil. Haritaki is used as a natural cleanser of the digestive system. It improves the functioning of the liver spleen and the colon and hence it is widely used as a digestive tonic. Many clinical trials were undertaken on patients with chronic constipation problem. From these studies it was evident that the extract obtained from Haritaki has the property of evacuating the bowel and increasing the frequency of stools. 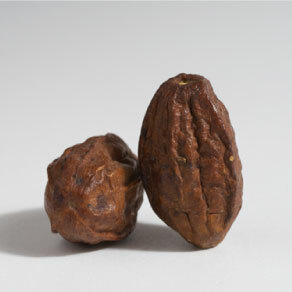 Haritaki is also used in combination with other herbs to prepare a formulation called Triphala. This medicine is widely used as Anti aging formula. It is also used for increasing the immunity of the body. Haritaki is also used as a purgative in ayurvedic treatments. It is also used as a tonic and expectorant. Haritaki is also known to pocess strong anti-mutagenic properties. Haritaki is used in the treatment of mouth ulcers, stomatitis, asthma, cough, candidiasis, gastroenteritis, skin diseases, leprosy ect. It is also used for treatment of intermittent fever, rheumatic pain and fever, wounds and arthritis. Haritaki is one of the best herbs for treatment of Vatadosha. It is used as a natural remedy for Vata disturbances like flatulence, indigestion ect. Haritaki is contradicted in person with weak digestion and also in pregnancy. Haritaki is also believed to improve intelligence and alertness in a person.